Sarah Soltauheller and I have done many collaborative projects with our classes over the past 2 years, and I think this one is the most exciting! We wanted the project to incorporate writing, science and social studies. We also wanted there to be an authentic audience for our students to attract more interest and to grab our students' attention. We decided on choosing an animal or insect to send each other that lives where we live, but does not live where the other class lives. Sarah's school is on Vancouver Island and we live in Ontario. 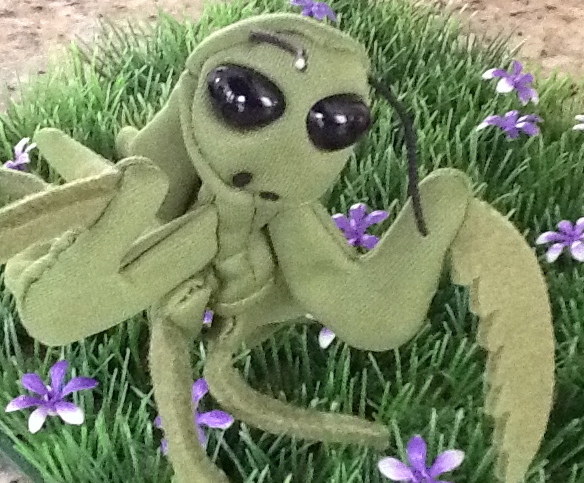 Sarah chose the orca whale and I chose (with a little help from my principal) the praying mantis. We agreed that we would mail each other the stuffy and that we would create a blog for the animal on our classroom kidblog accounts. 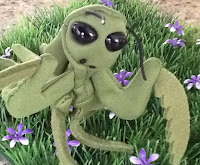 Students will take home the whale (named Haley) or the praying mantis (Elroy) over night and blog about their adventures. 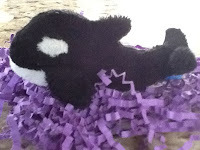 After everyone has a chance to take Hayley home we will do an Inquiry about orca whales and answer our Essential Question, "Why don't orca whales live in Windsor, Ontario? We will then share our projects with each other via Skype. To add to the excitement of this project, my students will be taking home an iPad with Hayley to document their adventures. 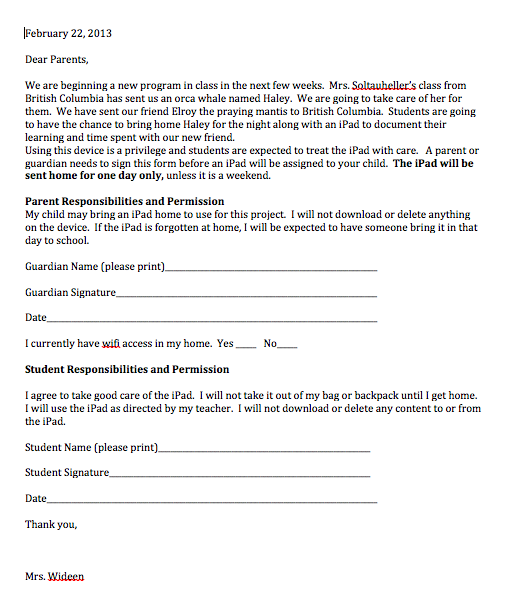 I have already sent a release form home to the parents. I have students that do not have wifi at their house, so instead of blogging about their adventure with Hayley from home, they will document their adventures using the book creator app on the iPad. When they get to school the following day they can transfer it to their blog or just leave it on the book that we are creating on the iPad. 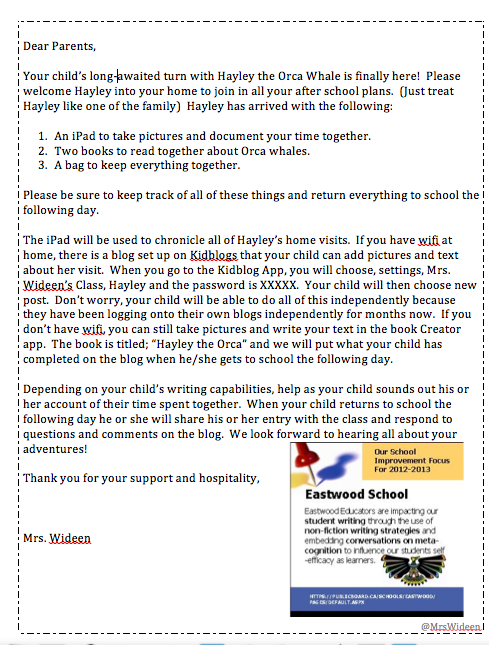 Here is the note that I created to go along with the iPad and Hayley. You can see the letter more clearly here. We are currently on March Break, so the students will begin the project in the next couple of weeks. I can't tell you how excited they are to begin. 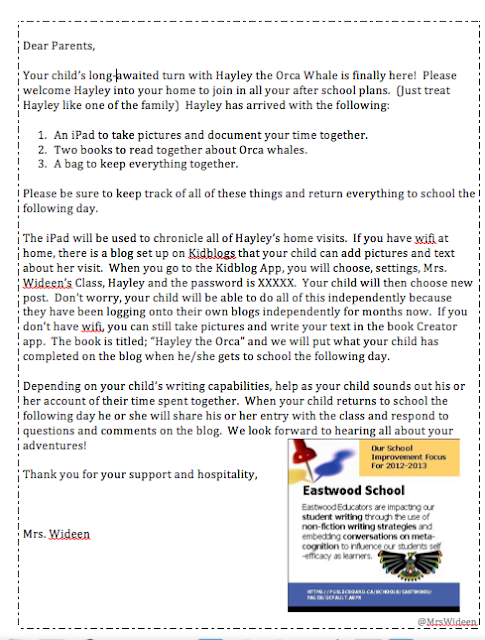 Please follow our learning by checking out Hayley's blog in the upcoming weeks here.